Ike Tippetts: WHAT DID THE SPIDER SAY TO THE FLY? WHAT DID THE SPIDER SAY TO THE FLY? We get many notes and testimonials but once in a while, there is one that really stands out. Here is a special one that we received just moments ago. I thought I would share it with the world! 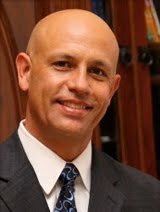 "Matt S. just provided service to my home. He cleaned out two drains and provided an estimate and advice on repairing a drain leak on an underground P-Trap cast iron fitting. I am a first time customer and I am totally impressed with your company. Matt was courteous, efficient, answered all my questions and provided service above and beyond my expectations. I recently heard a radio spot regarding CrimShield [endorsed by Jayme West on KTAR and Mike Broomhead on KFYI] and jotted down their web site. 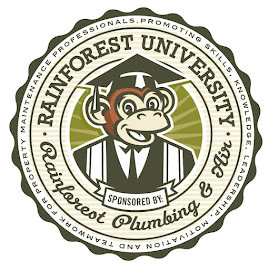 When I needed a plumber, I found you on the CrimShield website and then when I went to your Rainforest web site I was sold with your "Up-Front Guarantee" and "Mr Ike's Integrity Statement". As Matt was leaving, I wanted to get a feel for the relationship between the Rainforest workers and the President, so I asked Matt if he knew Ike Tippetts. His response was a very positive "Oh yes he meets with us on a weekly basis." When I told Matt what had impressed me with Rainforest he said that he would let Mr Tippetts know because Ike always appreciates such feedback. I thanked Matt and told him I was also going to write this email. "What did the spider say to the fly?" "See you on the web!" This was sent to us by email. I replied and thanked this kind gentleman for the testimonial.It may seem hard to believe but I have never met Mr. P. He writes as if he was a close friend. We are grateful to him for writing such a glowing review. We'll repeat this post on our facebook page.